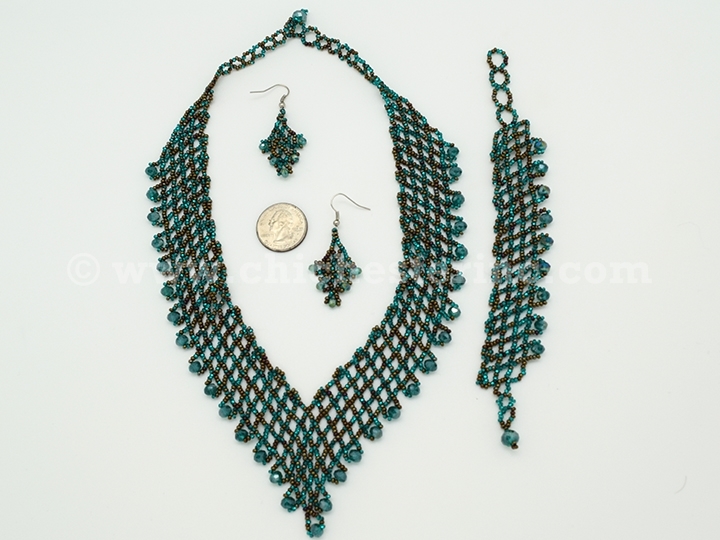 These beaded jewelry sets are handmade by indigenous artisans of Guatemala. They come in assorted colors and three styles. 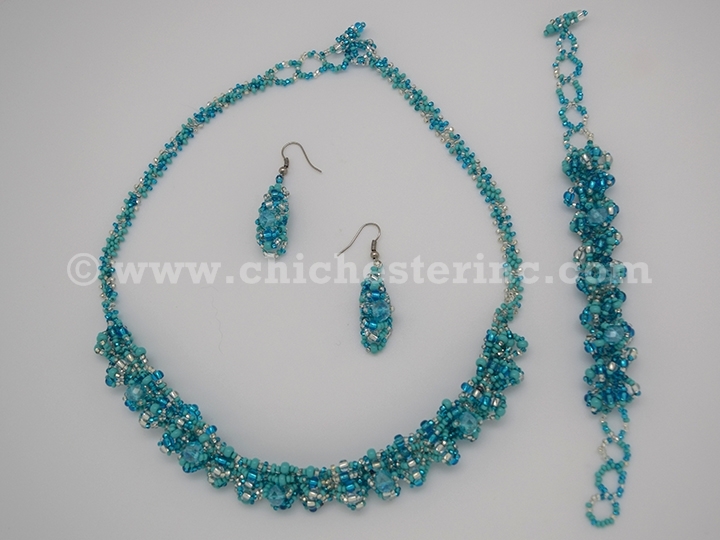 We may not have multiples of the same color as each set is handmade. 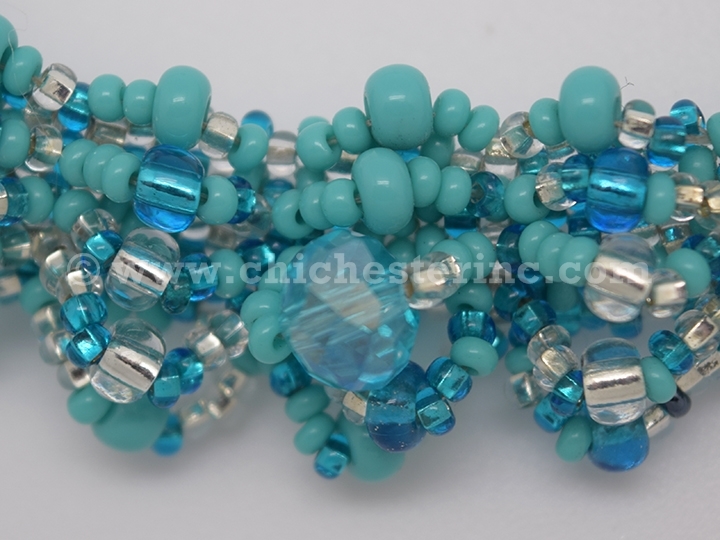 Please call us if you have a color preference. 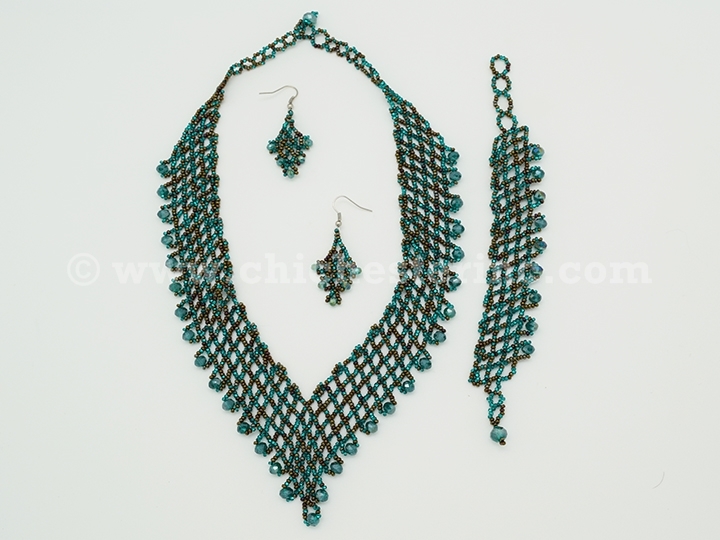 The V style necklace measures 19.75" long by 2.25" wide; the bracelet is 7.75" long by 1" wide; and the earrings are 1.5" long by 1" wide. 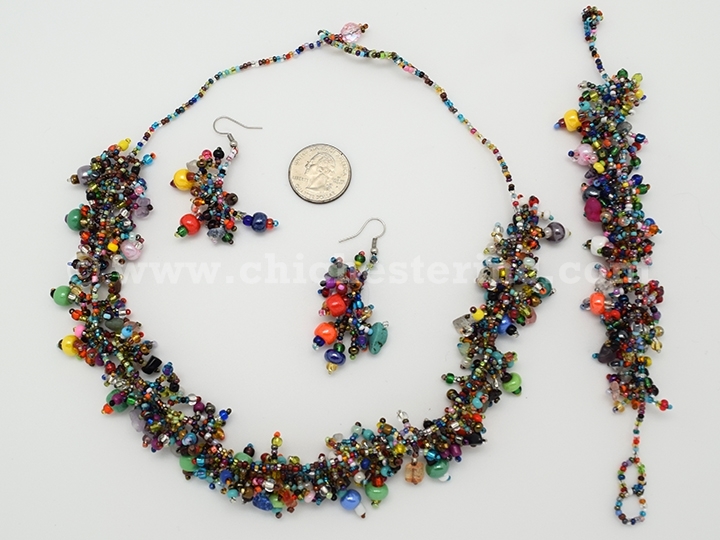 The entire set weighs 1.6 oz. 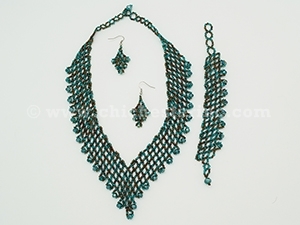 The Ajcot style necklace measures 21" long, 0.25" wide at the top and bottom, and 1" wide at the middle; the bracelet is 7.5" long by 1" wide; and the earrings are 1" long by 0.75" wide. 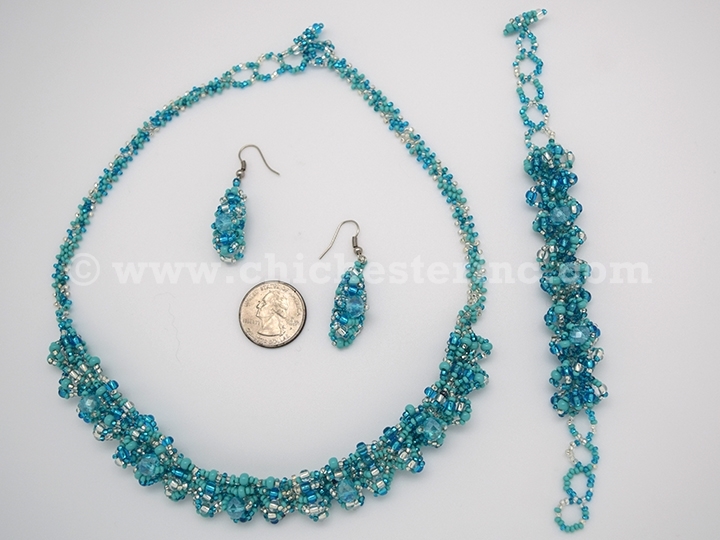 The entire set weighs 1.5 oz. 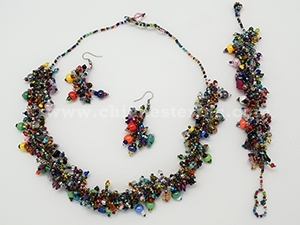 The Grape style necklace measures 20.50" long by 1" wide; the bracelet is 7.75" long by 1" wide; and the earrings are 2" long by 0.5" wide. The entire set weighs 3.2 oz.